Dilate an image using grayscale morphology. Dilation takes the maximum of all the pixels identified by the structuring element. Definition at line 51 of file itkGrayscaleMorphologicalOpeningImageFilter.h. Definition at line 92 of file itkGrayscaleMorphologicalOpeningImageFilter.h. Definition at line 91 of file itkGrayscaleMorphologicalOpeningImageFilter.h. Definition at line 89 of file itkGrayscaleMorphologicalOpeningImageFilter.h. Definition at line 61 of file itkGrayscaleMorphologicalOpeningImageFilter.h. Definition at line 83 of file itkGrayscaleMorphologicalOpeningImageFilter.h. Definition at line 85 of file itkGrayscaleMorphologicalOpeningImageFilter.h. Definition at line 87 of file itkGrayscaleMorphologicalOpeningImageFilter.h. Definition at line 78 of file itkGrayscaleMorphologicalOpeningImageFilter.h. Definition at line 74 of file itkGrayscaleMorphologicalOpeningImageFilter.h. Definition at line 100 of file itkGrayscaleMorphologicalOpeningImageFilter.h. Definition at line 80 of file itkGrayscaleMorphologicalOpeningImageFilter.h. Definition at line 81 of file itkGrayscaleMorphologicalOpeningImageFilter.h. Definition at line 75 of file itkGrayscaleMorphologicalOpeningImageFilter.h. Definition at line 79 of file itkGrayscaleMorphologicalOpeningImageFilter.h. 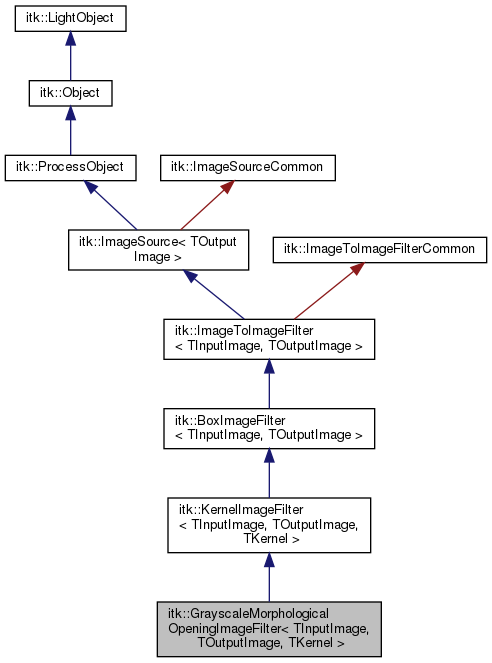 Definition at line 60 of file itkGrayscaleMorphologicalOpeningImageFilter.h. Definition at line 76 of file itkGrayscaleMorphologicalOpeningImageFilter.h. Definition at line 58 of file itkGrayscaleMorphologicalOpeningImageFilter.h. Definition at line 77 of file itkGrayscaleMorphologicalOpeningImageFilter.h. Definition at line 97 of file itkGrayscaleMorphologicalOpeningImageFilter.h. Definition at line 59 of file itkGrayscaleMorphologicalOpeningImageFilter.h. Definition at line 96 of file itkGrayscaleMorphologicalOpeningImageFilter.h. Definition at line 94 of file itkGrayscaleMorphologicalOpeningImageFilter.h. Definition at line 117 of file itkGrayscaleMorphologicalOpeningImageFilter.h. Definition at line 71 of file itkGrayscaleMorphologicalOpeningImageFilter.h. Definition at line 155 of file itkGrayscaleMorphologicalOpeningImageFilter.h. Definition at line 152 of file itkGrayscaleMorphologicalOpeningImageFilter.h. Definition at line 144 of file itkGrayscaleMorphologicalOpeningImageFilter.h. Definition at line 146 of file itkGrayscaleMorphologicalOpeningImageFilter.h. Definition at line 140 of file itkGrayscaleMorphologicalOpeningImageFilter.h. Definition at line 142 of file itkGrayscaleMorphologicalOpeningImageFilter.h. Definition at line 157 of file itkGrayscaleMorphologicalOpeningImageFilter.h. Definition at line 148 of file itkGrayscaleMorphologicalOpeningImageFilter.h. Definition at line 150 of file itkGrayscaleMorphologicalOpeningImageFilter.h.